Any size system will help you reduce your energy bill but if you want your system to pay itself off even faster, you’ll need to generate more power than you consume. The bigger the system, the more money you will save/earn by selling electricity back to the power company. However, system size (kW restrictions) in some areas of Queensland apply so allow us to consult with the authorities to ensure you can connect to the grid. 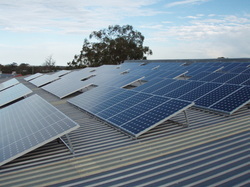 For those lucky enough to have approval for the 44 cent Feed In Tariff (tariff no longer available), you can maximize your feed-in by using appliances such as washing machines and dishwashers after dark, keeping air conditioners set at 24 degrees or higher and reducing your overall electricity consumption while your solar system is working for you. If you are on the 8 cent Feed in Tariff, you should use electricity during the day as much as possible to maximize your savings on your power bill. 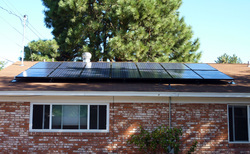 What Panels and Inverter do I need? The reality is, both panel and inverter technologies are changing so rapidly it's difficult even for solar companies to be able to stay on top of all the emerging technologies becoming available. What is the best today may not be the best tomorrow. That being said, panels are generally reliable as long as they have Australian approval. To earn this approval, the panels must meet minimum standards of a product warranty of 5 years and an output warranty of no less than 80% over a 25 year term. This does not mean that all panels are equal; it is just an indicator that the panels meet the minimum standard set by the regulators. In reality, some panels are inferior to others for varying reasons. We are continually monitoring the market and only select panels that we know will deliver the best possible return and warranties available. Click here to see what brands of panels we recommend. Inverters are very complex devices which convert the DC power from your solar panels to AC power to be used in your home. You need to be confident that the brand of inverter you are being offered will be around for a long time after your initial warranty period has lapsed. Some inverter brands have proven to be inferior but you get what you pay for so choose wisely. In 2010, there was a national recall of one particular brand of inverter due to the high failure rate and unreliability. You should always ask what brand of inverter is supplied with the system and then do some research on it as they can be costly to replace and cause down time on your electricity generation. From an installers perspective, I want to put in a system and forget about it; not come back every 6 months to replace a dodgy component that was put in to save money. This is why we have chosen to only sell quality components from trusted brands. Our products page is a great place to start your research. If the roof you decide to install your solar PV system on has a very low pitch (which often is the case on verandas and carports, etc), a salesperson should suggest the option of tilting your panels by using tilt frames to optimize the efficiency of your system. The amount of tilt will depend on where you live in Australia and your existing roof pitch. Click here to view the CEC's guidelines to get a good indication of what angle will work best for your system if you live in Brisbane. The orientation of your system can also have a dramatic effect on your generation output; north-facing, correctly oriented panels are able to generate the most electricity. Shading issues are very important. The effect of shade can be dramatic; even a small amount on certain sections of your panels can reduce your system's production enormously. The more reputable solar companies will be able to perform a shade analysis (if shade appears to be an issue) while they're at your home conducting an assessment. Shockingly, some companies may not know what you're talking about! I'll never forget the time I went to a property in Cleveland (a very high natural growth area in Brisbane with lots of large trees) to provide a home visit and measure. As I arrived at the property, I instantly knew they would probably have major shade issues. Long story short, the shade analysis indicated they would have a 65% reduction in system performance. I kindly suggested to the home owner that they invest their money in something else with a better return. The customer told me that my honesty was appreciated and then commented that two other companies had visited the same home and tried to sell them a solar system with no mention of the shade issues. I suggest you think carefully about having a company give you a quote for a system that doesn't account for shade loss. Shading isn’t only caused by large trees; even chimneys, whirly birds, vent pipes, air conditioners, skylights or Aerials can negatively affect your output. Even your neighbour’s house can cast a shadow on the area of roof where you want your system installed. This is why a "shade analysis" is so important. A good and worthy consultant will provide a shade analysis and advise you of the impact any shade measured will have on the reduction of efficiency. This is normally calculated in a percentage "production loss". If you suspect to any degree that shade may be an issue on your property, always ask at the point of booking your home analysis “will the sales person perform a shade analysis”? Our friendly team of designers and advisers can show you how to achieve anywhere between 16% and 33% return on your investment.